I’ve made this dessert three times in three weeks, I love it so much. 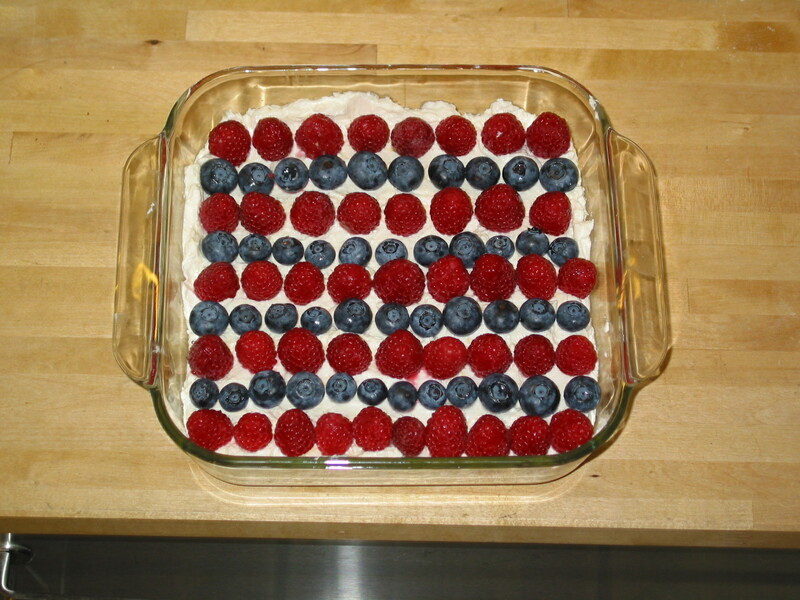 This time we added raspberries! Bittman rules! 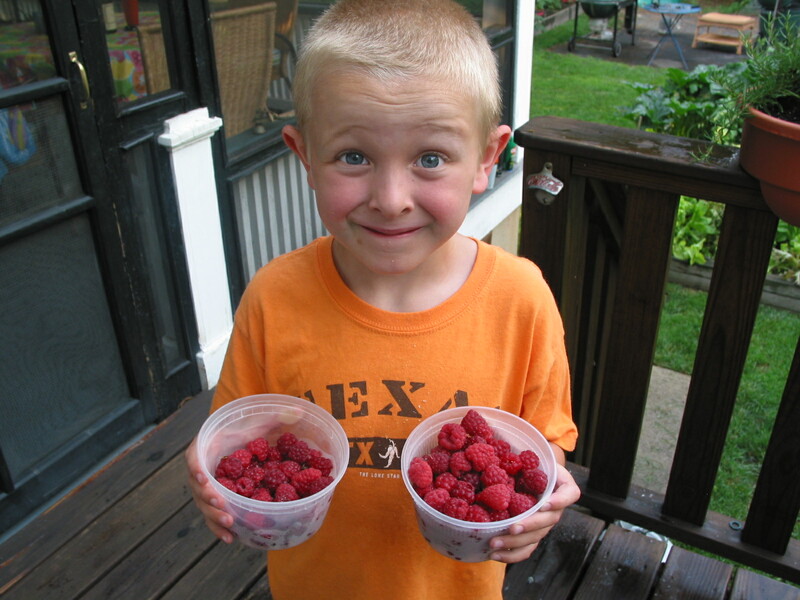 Every year right after the solstice we get our bumper crop of raspberries. This year was no different and since we were away nobody was here to pick the early ones. So last night we took almost two pints of berries. Segundo shows off the haul. 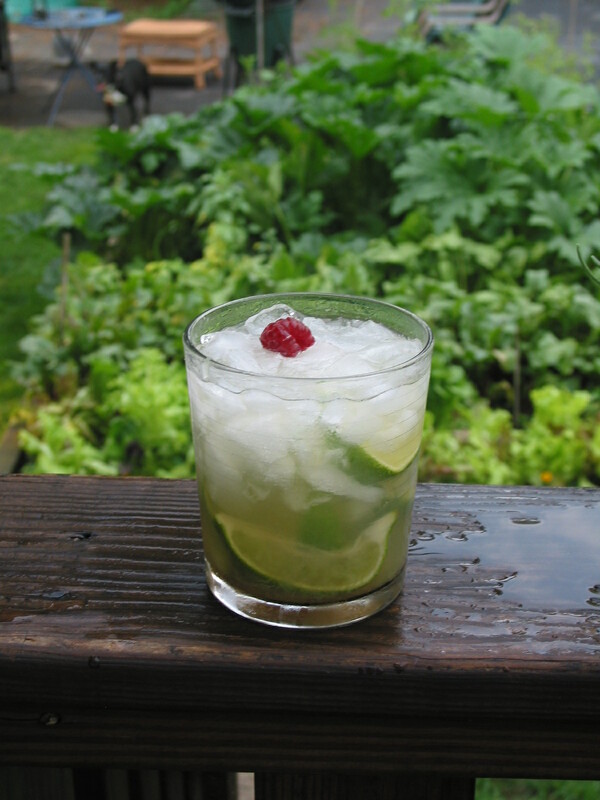 We even had enough to garnish a capirihna. We had our second batch of squash blossoms, too, but nobody remembered the camera until they were gone.